ROSS Controls provides robust solutions for the automotive industry that improve system reliability and reduce total system costs. The ROSS product line is familiar and well received among engineering and plant personnel. ROSS has equipped machines in all the various phases of vehicle production. Our products range in service from welding through vehicle conveying and include a broad range of fabrication and assembly. We offer several different valve spool constructions because we understand the unique environments and applications demanded by the Automotive Industry. We make what our automotive customers want to buy: globally recognized standard pneumatic components that stand up to the demanding environment of the automobile industry. Our products have been proven reliable over and over again in every area of an automotive plant. ROSS is highly recognized in the automotive industry for its variety and size range of Air Preparation products and has developed many industry related solutions along the way.. Our product offering includes high capacity options with port sizes as large as 3”, “T” handles, drip leg drains and metal bowls that are available as individual components or as a preassembled unit that can also include pneumatic safety products. 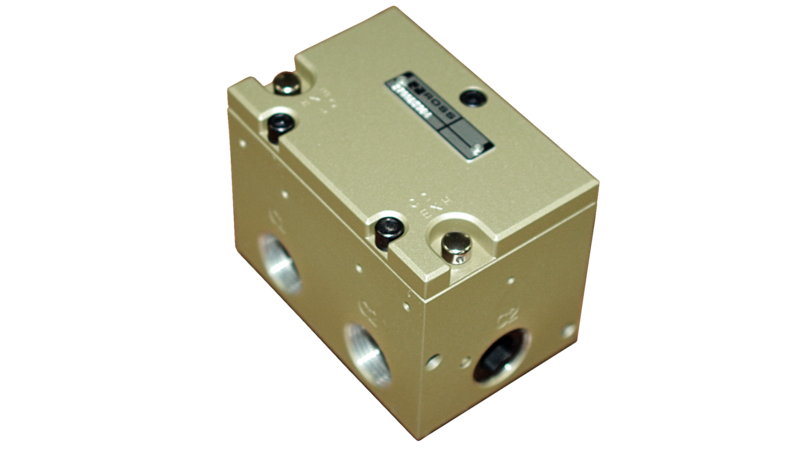 The ROSS LOX Lockout Valve is the industry standard for energy isolation. With port sizes available through 3”, ROSS LOX meet all of the stringent industry standards including oversized exhaust ports and a port ready for a visual status indicator. 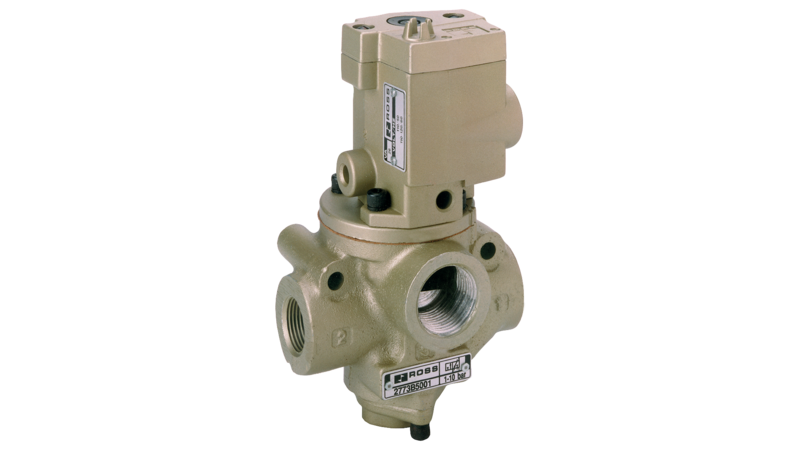 These valves are available as stand-alone components or they can be included with an air entry assembly. Many of the lockout valves are also available with an EEZ-ON Soft Start function to help protect people and machinery during start up. 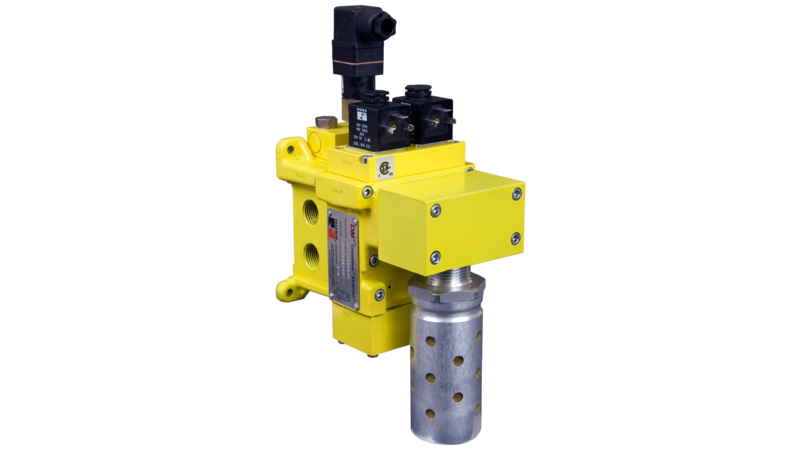 If the results of your risk assessments indicate a requirement for either a Category 3 or 4 Control Reliable Double Valve, ROSS has several safety exhaust options to choose from. 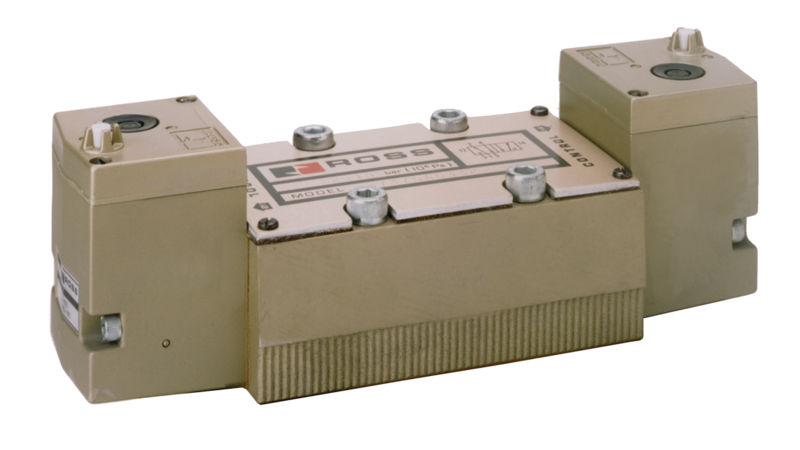 ROSS has been providing Double Memory & Double Monitoring Valves to industries for over 60 years and has continued to introduce new advancements to the product line. 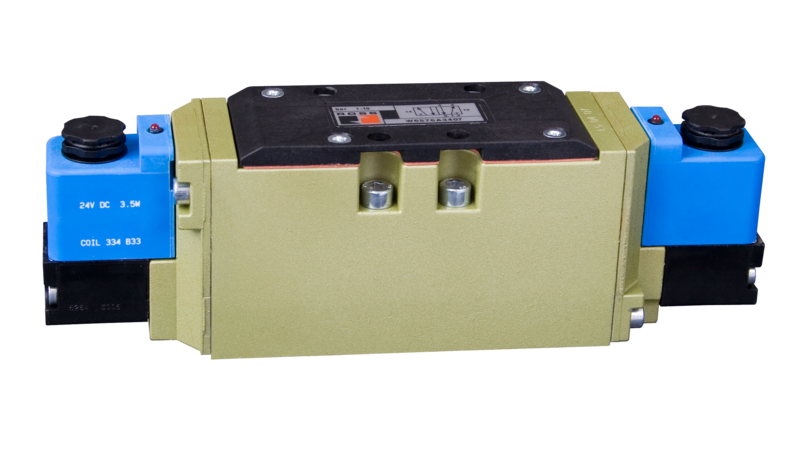 Recently, we have introduced a newer modular series, M DM2C, with an optional soft start function. 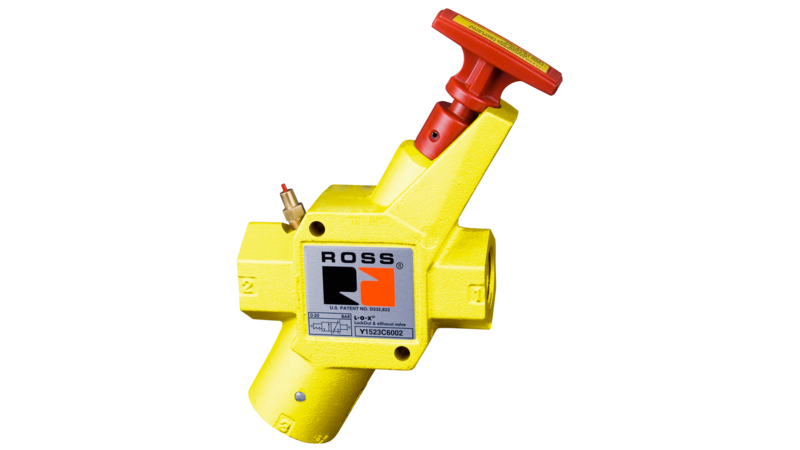 When people need to be confident that a load will be held in place, they often look to ROSS for one of many available Pilot Operated Check Valves. 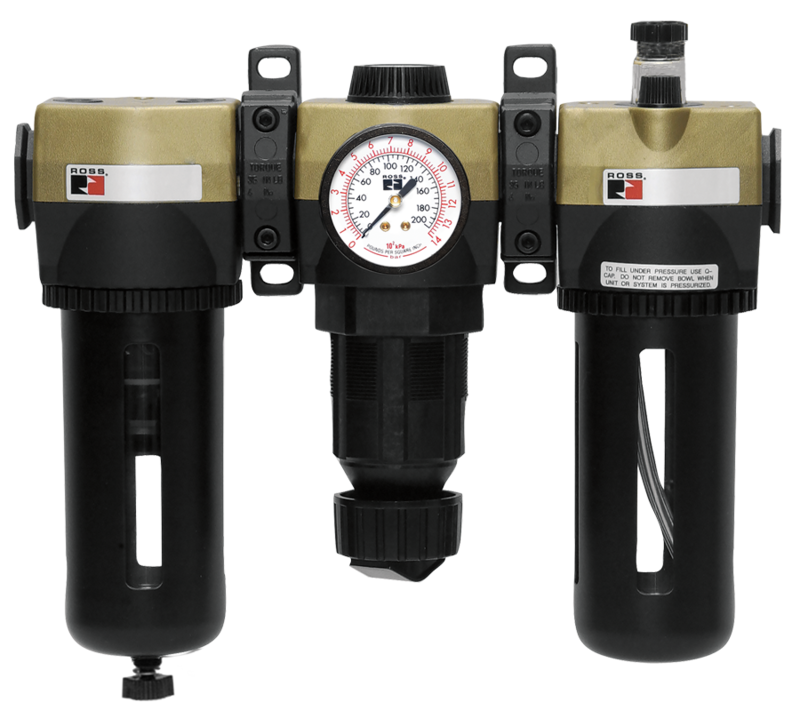 ROSS’ PO Checks are offered in a single or dual valve arrangement, either air or solenoid pilot, with several pressure release options. Category 2 and 3 options are part of the offering with sensing capabilities. Used to test the dynamic properties of finished tires, ROSS has developed solutions for tire uniformity optimizers including a new version that offers many improvements. Allowing you and your employees to be safe in the workplace requires attention to risk assessment, machine design, equipment functionality, employees, technicians, continual assessment of these assets, and continual education in best safety practices. Machine safeguarding and making safety first is everyone’s goal, and you can take advantage of additional free resources to make that happen. ROSS is proud to provide downloadable white papers for you to use to increase the safety in your business and stay up to date on industry standards. You can find all the latest white papers by clicking the link below. Our team of Global Industry Specialists, would be happy to assist in finding the right solution based on your individual requirements. Please feel free to reach out to our team to get the conversation started to see how ROSS can help you strengthen your position in the Automotive Industry.